Celebrations for Sisi following the announcement of his victory. Egypt’s Cabinet has declared Sunday, 8th June as a holiday for the public sector in celebration of the inaugural ceremony of President-elect Abdel Fattah al-Sisi. The inaugural ceremony which will take place in the Qubba Palace, before moving to the Presidential Palace, will be broadcasted live and will include a speech by the High Constitutional Court. The celebration of President Sisi’s swear in will be accompanied by 22 world leaders and 70 international dignitaries, including Saudi Arabia’s Crown Prince Salman, the Ethiopian Minister of Foreign Affairs and several other leaders and heads of numerous international institutions. The day will also witness a number of celebrations by several artists, politicians and public figures in appreciation of Interim President Adly Mansour’s efforts during his time in office. The government of Prime Minister Ibrahim Mehleb is said to submit its resignation on Monday following the swear in, which is expected to take place the day before. The decision was following the Presidential Elections Commission (PEC) announcement of the official election’s results in which Sisi one by a landslide of 96 percent of the vote. Interim President Adly Mansour’s office has sent out a number of invitations to world leaders to attend the celebration of Egypt’s new President-elect Abdel Fattah al-Sisi. However, three countries were not invited: Israel, Turkey and Qatar. The decision not to invite Turkey and Qatar may have resulted from their hostile position towards the post-Morsi Egyptian government. However, President Shimon Peres and Prime Minister Benjamin Netanyahu of Israel both spoke with Sisi on Friday and congratulated him on his victory. The separate phone calls expressed the importance of maintaining bilateral ties between both countries. “Israel is committed to maintain the peace treaty between Israel and Egypt and to strengthening the cooperation between our nations,” the Israeli President’s office said. Despite, Israel, Turkey and Qatar not receiving official invitations to attend, the Iranian President Hassan Rouhani was officially invited to attend the celebration by the head of Egypt’s representation in Iran. Furthermore, Iranian Chief of Staff, Mohamed Nahavandia, commented saying that he hopes, “the democratic process in Egypt will reflect the will of the people,” and stressed on the importance of communication between the two countries. 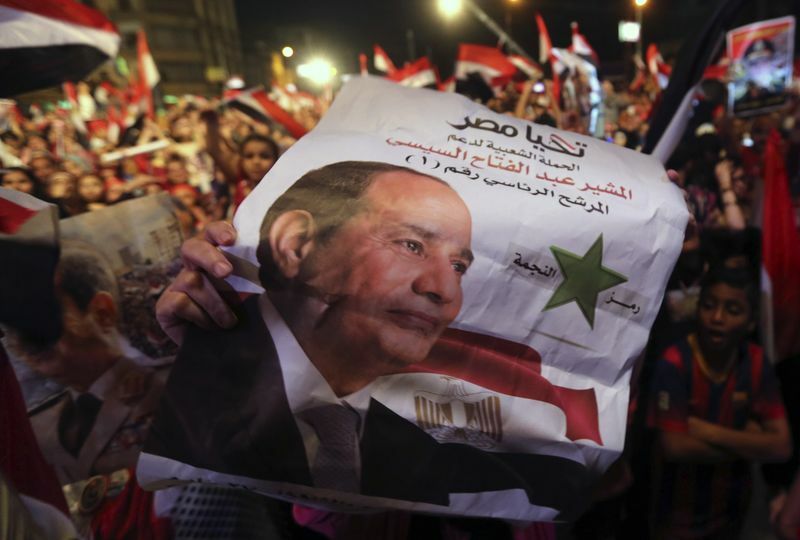 Several countries and world leaders have congratulated Sisi for his victory in the presidential elections following the announcement of the results on Tuesday. The National Alliance to Support Legitimacy (NASL) has called for the supporters of deposed Islamist President Mohamed Morsi to stage several protests ahead of the inauguration.